Here’s the full list of HSK1 words (plus some!) with all the info you need: Chinese, Pinyin, English and 2 example sentences for each. This is great if you want to make your own flashcard deck (Anki) or just check them off through a spreadsheet. All sentences are originally created by Tutormandarin and are not licensed for any commercial use — but feel free to enjoy them personally. Our curriculums are all designed around HSK standards, so these are all the same words that make up our Beginner 1 course. The course breaks them into 45 well-organized lessons based on interesting and practical themes. 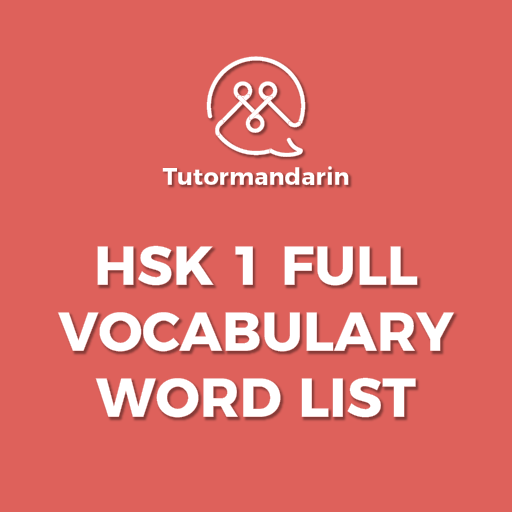 HSK 1 Full Word List Download here. This entry was posted in Chinese Language Learning, Chinese Survival Skills, Free Chinese Lessons and tagged beginner, hsk 1, learn chinese. Bookmark the permalink. ← Where does the word “Chow” come from?